Thierry Henry is having a dreadful start to his managerial career at Monaco. Since his arrival, the club has managed to win only 5 matches in about three months, and relegation to Ligue 2 looks certain at this point. The board has decided to free up the purse this month, so that they can secure a spot in the French top division for next season. The former Arsenal forward has brought in the likes of Naldo and Cesc Fabregas since the start of the winter transfer window. Now, he has set his eyes on strengthening his midfield, having turned his attention towards Manchester United‘s Marouane Fellaini. According to reports in France, the Ligue 1 outfit’s gaffer is hoping to secure a loan move for the Belgian International by the end of this month. RMC Sports believes that Henry contacted Ole Gunnar Solskjaer to enquire about the midfielder’s availability in the past weeks. But there is a possibility that this move won’t go through, as Fellaini is set to miss the coming weeks with a calf injury. Fellaini has made 21 appearances this season, but most of them were under Jose Mourinho, as Solskjaer has preferred to use players with attacking flair in the midfield. Ander Herrera and Nemanja Matic have become his first choice pairing in the centre of the pitch, forcing the Belgian to spend a lot of time on the bench. 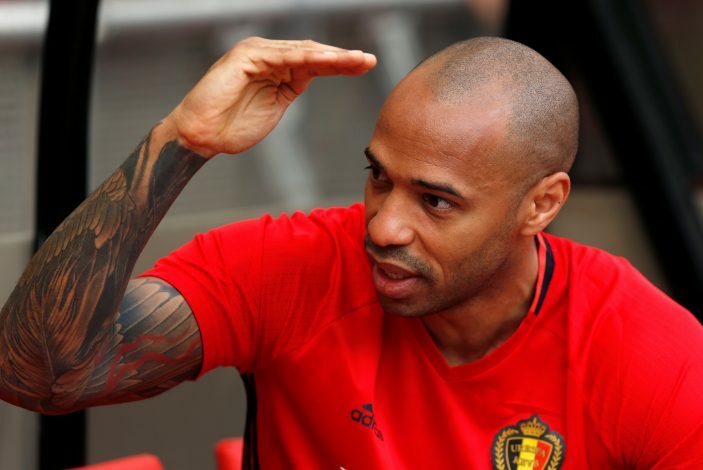 Meanwhile, Henry will be hoping that the midfielder is fit enough to make the switch this month, so as to effectively lift the spirits at Monaco, and play a pivotal role in saving the club from relegation this season.